Ski school takes place at Bolgen and Buenda in Davos and there are some easy runs at Parsenn for gaining confidence. The wide and rolling blue and red runs are brilliant for cruising intermediate skiers or boarders looking to improve technique. Try the 12km challenge from Weissfluhgipfel to Küblis on the Parsenn, or head to Rinerhorn and Jakobshorn for some exhilirating black runs. Spend the day in snowpark Jakobshorn with its half-pipes and jumps. With over 75km of prepared trails, Davos is one of the best choices for cross-country skiers! No trail pass required. The Seehof is an elegant hotel in a great location on the main Davos promenade and just next door to the Parsenn ski lift. One of the oldest hotels in resort, it offers high standards of service and cuisine. Many of the public areas have been recently refurbished. FREE ROOM UPGRADE exclusive to Inghams - see Inghams Plus and accommodation. The Central Sport has a reputation for excellence in cuisine and service and is in a central location just a few minutes’ walk from the main street and 1 minute’s walk from the ski bus stop. The Hotel Grischa is beautifully-furnished throughout and enjoys an excellent location in the centre of Davos Platz with good access to the ski area and has a luxurious ‘boutique’ feel throughout. 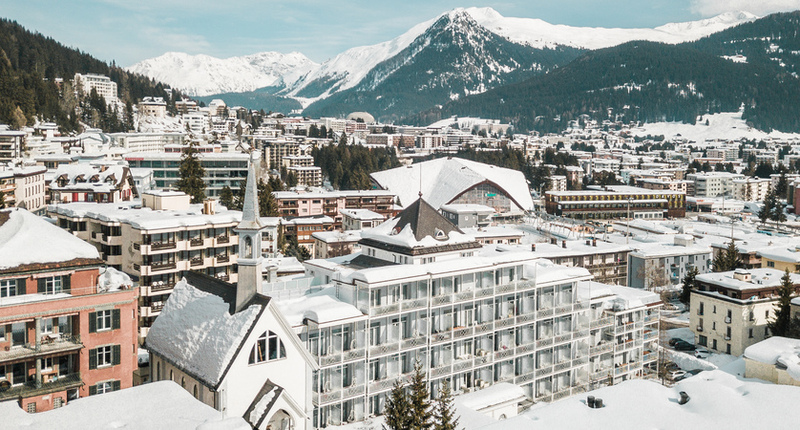 The Hard Rock franchise will gain ownership over this history luxury hotel in the centre of Davos and offer a truly unique ski holiday experience in one of the World best ski resorts. The Sunstar Alpine offers great views of the surrounding mountains, good facilities and a welcoming atmosphere – all in a central, yet quiet location. Transfer Approx. 2hrs 45mins by rail. Supplements: are based on 7 nights midweek/weekend departures. Other UK regional airports are available on indirect flights. Rail from UK Travel from London or Ebsfleet.